This past week has been pretty wild between Gray Thursday, Black Friday, Small Business Saturday and all that other junk. But I’ve still got two nights of Blogvember to share some new stuff with you guys, and tonight I want to share another ‘finny waves’ macro picture of the fish fins I photographed last week. I’m not drunk anymore! Which is unfortunate, but also good for this blog because I gotta update this before I head out for work tonight. Anyway, my dad went fishing a few days ago on Lake Michigan and caught a couple fish. I sat down and photographed their fins with my macro lens and I’m really satisfied with how they turned out. I feel like if I didn’t know they were fish fins, I wouldn’t know what they’d be, and I like that. This is my newest betta, that I got back in August, and his name is Hellboy. 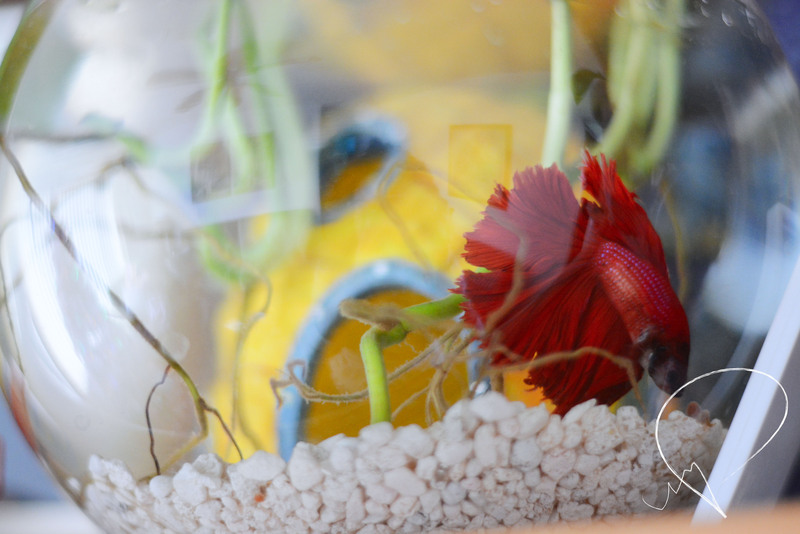 He’s a rosetail betta and cost a pretty penny. I was looking at him closer today and he’s definitely grown since August. My gorgeous baby, Ultraviolet. Never owned a prettier beta than this guy.